Thank you for sharing your Experience of SBM. I came to try this exercise to see if it would help counter the effect of Parkinson's diseases which I had for 15 years. Though it was just a trial where I had 20mins of exercise, the result was very promising. I could see a clear improvement in the overall posture which is one aspect of the Parkinson's diseases I've been trying to counter. The drastic change I could see on the before and after pictures was somewhat shocking. Since this exercise will develop the muscles which inturn adjust the posture, I imagine the improvement will be more long lasting than other therapies like Chiropractic, osteopathy, acupuncture ect. It's more of a exercise than a therapy so if you are not willing to put in some work, it's probably not going to be much help but for those who are ready to face the challenge, it's worth every strenuous moments you may go through. I have tried other kinds of sports therapy massage and physio in the past but the pain has always returned. 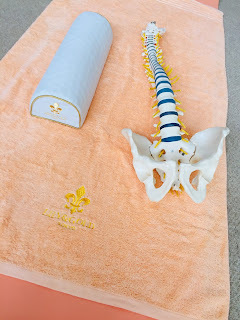 I have suffered from occasional, niggly lower back pain after pregnancy (SPD) and tightness in my neck following two whiplash injuries a few years ago. I have tried other kinds of sports therapy massage and physio in the past but the pain has always returned. I researched other ways to treat this and came upon the Japanese method of SBM which was focussed around spinal and pelvic alignment. I booked in for a trial session for SBM with Mika and opted to learn techniques from her that would allow me, as my discomfort was not a serious condition, to treat myself with the methods Mika taught me. In my trial session, Mika explored my concerns and what I knew about my own body alignment before beginning to explain and demonstrate her techniques. I was particularly impressed by the gentle way Mika walked me through the technique and she managed to explain the method very simply in a way that was easy for me to understand and repeat for myself. Mika explained that SBM is something I could practice daily in order to correct my own pelvic alignment and natural “s” curve of the spine. During the trial session I felt a sense of immediate release and using the techniques and methods Mika has taught me I am experiencing the benefits of doing the self practice on a daily basis. The SBM technique is one I would recommend to anyone who participates in sports or martial arts as I do, musicians, or even people with a desk bound job. Mika also does long term in house treatments for all sorts of more serious ailments. 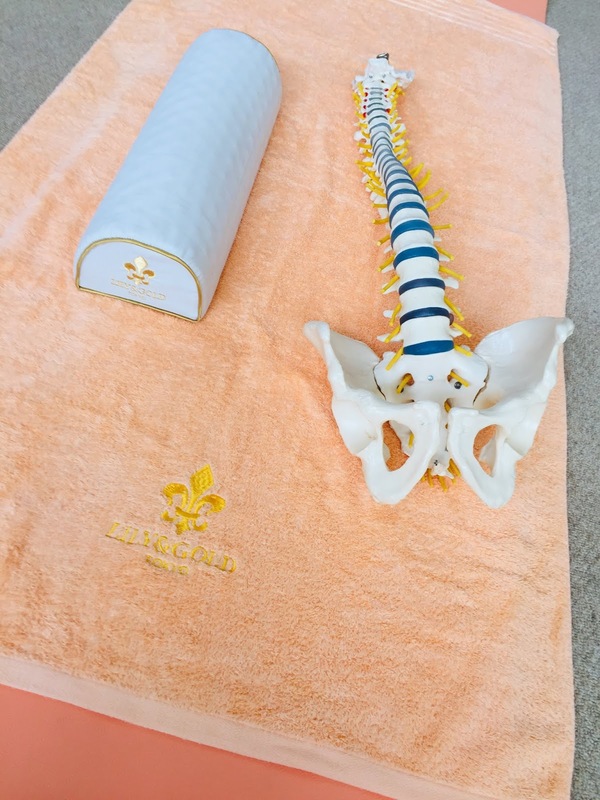 The technique is really helping me adjust my spinal and pelvic posture and bring welcome relief to my lower back and neck pain. Arigato Mika San!